The iPad 2 Keyboard Case from ClamCase is an all-in-one tablet clam case featuring a Bluetooth keyboard and a stand. The innovative tablet cover offers the iPad 2 durable protection from all possible impacts and dents with its hard shell polycarbonate design, covering the precious device from all sides. 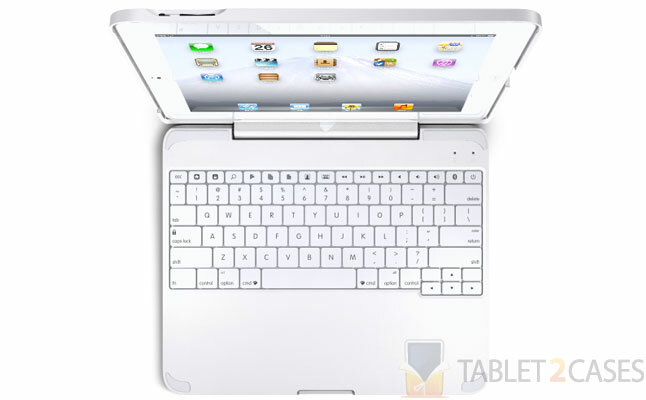 The integrated full QWERTY keyboard comes with additional 14 function keys set to manage the main Apple iPad 2 functions. The cover of the ClamCase wakes up and puts the device to sleep similarly to the Apple Smart Cover. The 360° hinge offers unique tablet stand case functionality. The new tablet hard cases combines sleek ultra-modern design with great functionality and durability. 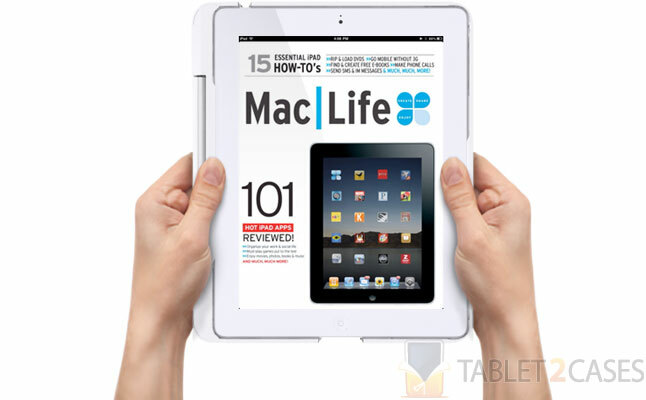 The matte white finish and an ultra-soft touch surface of the case is cleverly worked into an ergonomic build in order to create a truly classy iPad 2 case. The price for this item is $149.